This article is a guest article by someone from the analytics community I really look up to. 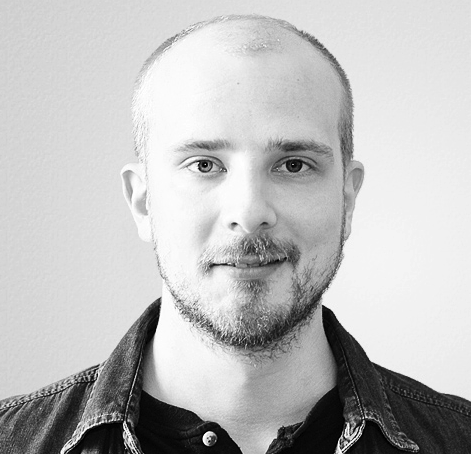 Dan Wilkerson is an analytics developer at Bounteous, a company I hold in high esteem. Dan is one of the smartest technical analytics experts out there, and a large bulk of the awesome scripts and hacks that Bounteous produces (almost on a daily basis) have been orchestrated by him. 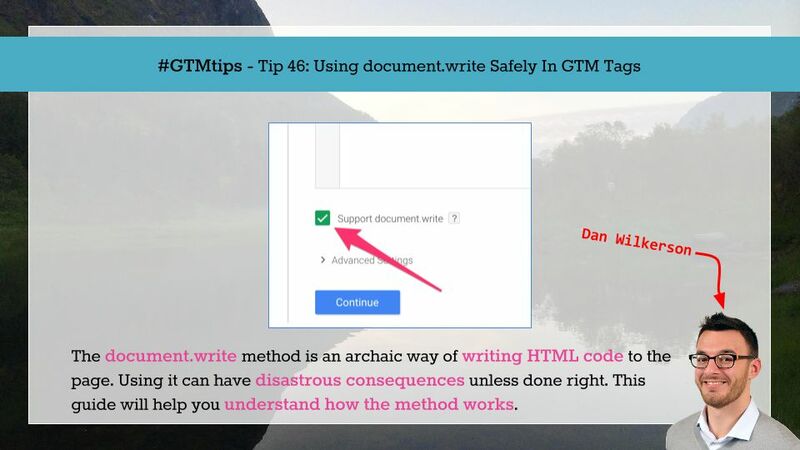 So I’m very pleased to give the floor to Dan, so that he can tell you all about using the pesky document.write() method in your Google Tag Manager Custom HTML Tags! Unfortunately, when document.write is called after the document is finished loading, the browser overwrites the existing document and replaces it with just the contents of the document.write call (read: your entire site becomes a blank page). In the past, this wasn’t a big deal; we’d hard code our handful of marketing tags straight into the HTML of the page. Unfortunately, modern front-end engineering best practices, the proliferation of tracking pixels, and tag management systems don’t play nicely with this paradigm. These days, it’s all about asynchronicity and speed. Thus, we see the crux of the issue: vendors want simplicity and reliability, and engineers want speed and efficiency. This feature allows us to have our cake and eat it, too. Before, we’d have to deliver the tags synchronously. 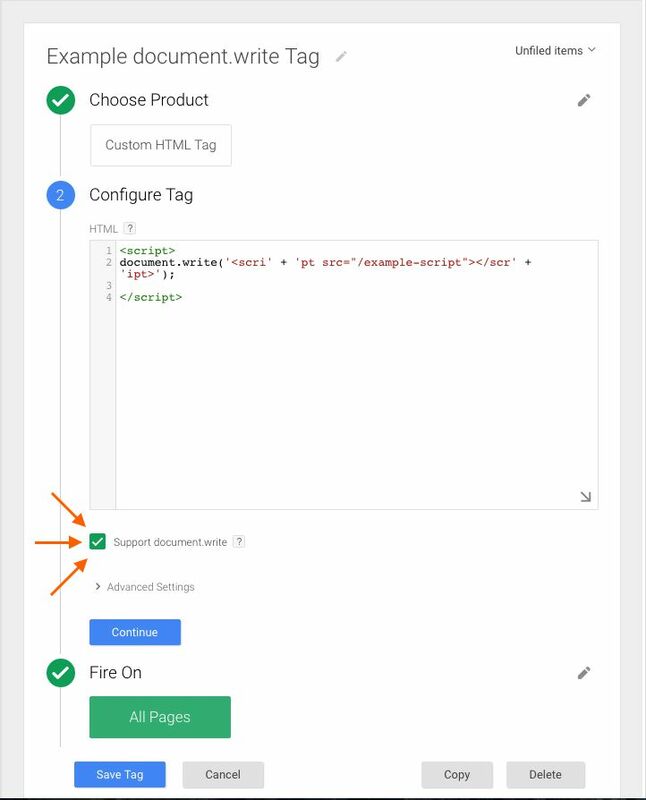 You deliver the same tags as before, and you can give your users a better experience. GTM’s replacement for document.write uses document.createElement and then appends the result into a hidden div at the bottom of the page. It negotiates the handoff by binding to the onload event or the onreadystatechange event of the element. And that’s all there is to it! Simply check the box, and your tag will load asynchronously and write to the document, as expected. Remember, if you see a warning in the Developer Tools, that means there may be a Custom HTML Tag with document.write that doesn’t have that box checked. First of all, kudos to Dan for giving a thorough run-through of something most of us take for granted. The simple little checkbox in the Custom HTML Tag hides a wealth of complexity, engineered solely to make life easier for anyone who has to work with advertising pixels. It’s kind of odd that something so crucial to businesses these days (ad revenue) hinges on a technology which is dubious at best. In my book, document.write is in the same bucket of nastiness as iframes, single-pixel image beacons, (third-party) browser cookies, and all other technologies designed to facilitate the spread of malware. But this article wasn’t about advertising. This was about zooming in on yet another interesting technical manoeuvre that the Google Tag Manager engineers have done to make sure that the tool caters to all its target audiences (whatever they might be) with equal precision. So thank you, Dan! As always, the comment section is here for you.